Human skeletal muscle satellite cells are activated in response to both resistance and endurance exercise. It was initially proposed that satellite cell proliferation and differentiation were only required to support resistance exercise-induced hypertrophy. However, satellite cells may also play a role in muscle fibre remodelling after endurance-based exercise and extracellular matrix regulation. 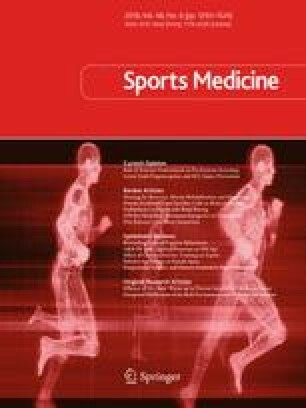 Given the importance of dietary protein, particularly branched chain amino acids, in supporting myofibrillar and mitochondrial adaptations to both resistance and endurance-based training, a greater understanding of how protein intake impacts satellite cell activity would provide further insight into the mechanisms governing skeletal muscle remodelling with exercise. While many studies have investigated the capacity for protein ingestion to increase post-exercise rates of muscle protein synthesis, few investigations have examined the role for protein ingestion to modulate satellite cell activity. Here we review the molecular mechanisms controlling the activation of satellite cells in response to mechanical stress and protein intake in both in vitro and in vivo models. We provide a mechanistic framework that describes how protein ingestion may enhance satellite activity and promote exercise adaptations in human skeletal muscle. D.M.C is supported by an Australian Catholic University Research Funding Grant (#36331). Baubak Shamim, John A. Hawley and Donny M. Camera declare that they have no conflicts of interest. D’Lugos AC, Luden ND, Faller JM, Akers JD, McKenzie AI, Saunders MJ. Supplemental protein during heavy cycling training and recovery impacts skeletal muscle and heart rate responses but not performance. Nutrients [Internet]. 2016;8. Available from: https://www.ncbi.nlm.nih.gov/pmc/articles/PMC5037535/. Reidy PT, Lindsay CC, McKenzie AI, Fry CS, Supiano MA, Marcus RL, et al. Aging-related effects of bed rest followed by eccentric exercise rehabilitation on skeletal muscle macrophages and insulin sensitivity. Exp Gerontol. [Internet]. 2017; Available from: http://www.sciencedirect.com/science/article/pii/S0531556517302632.